My name is Sonia and I live in Mount Moriac, Geelong. 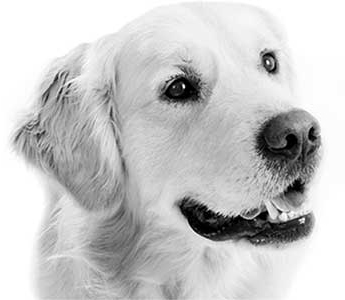 I have always loved dogs and after many years working in a clerical environment I discovered that I had a deep affection, desire and passion to work with dogs. This discovery came from one of my own dogs, Lincoln, a golden retriever. Having owned other dogs I thought I had a good understanding of how to handle dogs and get the best behaviour from them. Lincoln, however, was a dog that was definitely more of a challenge for me. It was because of these behavioural issues I was having to deal with which set me on the path of wanting to understand more about how to help him to become a well mannered dog; one that I enjoyed spending time with, enjoyed taking on walks and basically having a better behaved member of my family. Whilst searching for the information I was lacking to help Lincoln, I became acutely aware that I had not been looking at the whole picture. I had purely been concentrating on the presenting behavioural issue Lincoln had and not all the other little issues that were actually working against me. I also became aware that there is definitely no one particular way to train a dog. It is always good to have various options and 'tools in your tool kit' to help you out. After several months of putting my new found knowledge into practice and seeing the change in my dog's behaviour, I decided that I definitely wanted to work with dogs for a living as the rewards can be so great. I discovered that if I was willing to take the time to understand and interact with them in a way they understand, the results can be astounding. March 2011, 2 week dog training/obedience instructors' course in Queensland conducted by one of Australia's leading dog trainers, Craig A. Murray.